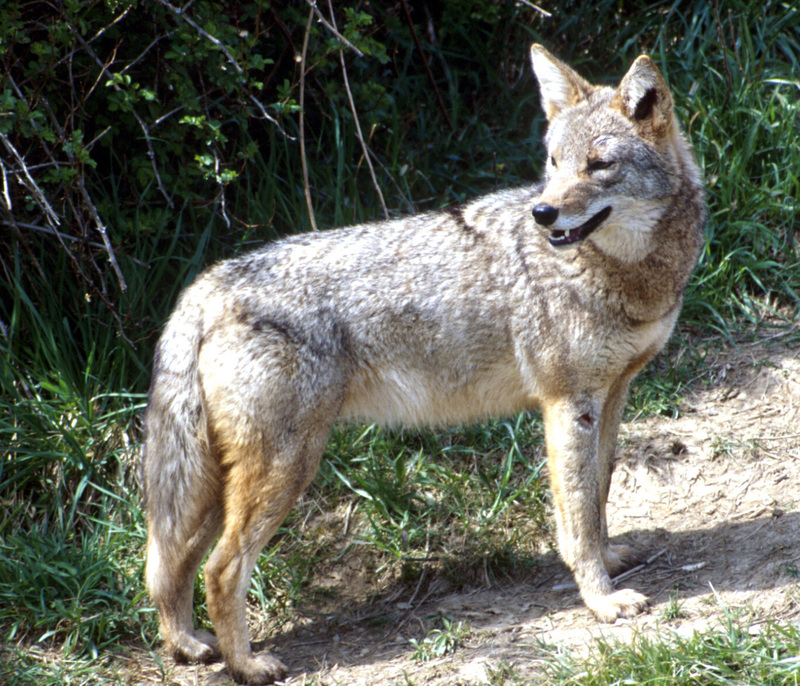 The symbol of the trickster in Native American Navajo culture is the coyote. The coyote is a revered as a con, a sign of witchcraft, or a type of bad omen that will lead you into trouble and is very powerful. A trickster, as I am using it, is a predictive message that attaches to unconscious and conscious divergent views that are not proven to be true but that can become a powerful truth if it is trusted. Tricksters can become true via the mechanism of negative self-fulfilling prophesy. Becoming aware of this spiritual reality is very important to understanding trauma that gets experienced in a message crisis. Indeed, unless a message receiver can see a way out of very stark circumstances they may get sucked into a meat grinding machine that can make them disappear; they may end up lacking a social role and living in unhealthy circumstances. Understanding the trickster involves understanding how to overcome this social prediction. Thus, thinking that others are going to exclude or institutionalize you will lead you to put negative energy out there that may help your fears come true. If helpers learn and believe in the power of this trickster spiritual trap, they may learn to practice techniques that trick the tricksters! Instead of receiving a double bind experience, let helpers trap message receivers into no way out but to win situations. This can help jostle a message receiver out of the trickster trap. This might need to be achieved repeatedly for a while before the message receiver learns to trust the helper. If a message receiver has been victim to trickster realities for ten years, one would not expect them to be healed from one intervention. Awareness of tricksters can help motivate people to consider the merits of utilizing functional flexible theory styles and help increase mindfulness of their process. I have to admit that from my vantage point tricksters involve spiritually giving up on reality and using magical thinking to alter the course of the experience. In both cases it is like using a double negative, (applying magical thinking to magical thinking) to move forward in a positive, rational, rehabilitative direction. For many, awareness of the trickster process has not been operative or reinforced during crisis because it is not recognized as being part of the treatment discussion. Instead there is the concept of the “reality-check.” While some message receivers can accept some “reality-checks,” clinicians often note that others do not take any of them seriously. Indeed, it is arguable that the common failure of the “reality check” that leads to the definition of a “delusion” or, “a refusal to believe in spite of a preponderance of the evidence.” When I was in crisis, many times I was checked about realities that were true. In fact, my reality just didn’t sound true because it was not a part of the discourse of the reality-checker who was totally ignorant of the reality I was experiencing. I feel it is very important for helpers to realize that many messages receivers get given “reality-checks” in which they are assured something is not true, and then because of trickster reality, they learn that those assurances are empty. The inaccurate “reality-check” is such a radical betrayal, subservient silence is likely to result. When the roofing nails aren’t long enough to reach the wood, thumbs are likely to get smacked and turn black in spite of hard hammering work. As such collective power that imposes reality only further isolates the message receiver. Too often the promise of the positive thought or the reality promise blows up in the face down the road when other associated messages turn out to have credence. Currently, in the standard of care, falsely believing that all messages are delusions, a helper mindlessly drops a reality test and then wonders in upcoming weeks why the message receiver starts to have inexplicable vindictive, antagonistic feelings toward them. The message receiver may get seen as stubborn, a character defect, and this then gets blamed on the power of the disease. Even worse, the message receiver gets extorted into seeing themselves as symptomatic and the issue of the false reality-test never gets brought up. Recovery takes years or doesn’t happen in part because of the need to overcome the preponderance of reality checks. It means learning the reality of the trickster internally and falsely yessing the reality checking community when you know you don’t mean it. In the institution, the right to be self-determined and deal with the consequences of your own decisions, gets stripped. It is a structural and punitive reality check that is very traumatic and can lead to years of decline. Even if it is not internalized and the message receiver stays industrious and believes in themselves, having a false reality imposed on you gets in the way. I feel that even skilled workers who acknowledge that there is an element of truth to delusions and can occasionally have a good experience with a reality check; can set themselves up for resentment or the message receiver up with long term distress and catch-22 binds. While sometimes institutionalized people will welcome a helper to have confirmation that the messages aren’t real, I’d argue that it is wiser not to benevolently determine that the messages aren’t real for them because of the trickster reality. I have fallen for this myself and hurt message receivers. If this seems to be an overblown discussion of semantics, I ask the reader to consider what happens when a helper benevolently reassures the message receiver that there is no need for fear only to have an element of the reality checked fear come true. Not only might this discourage the message receiver, the benevolence reinforces a self-stigma that the message receiver is weak and the reality-check undermines the wider need for mindfulness. Thus, for years the message receiver believes even more in their special message reality and less in the support from their material world helper. Even if one reality check pans out, the fact that so many others didn’t means the value of an accurate “reality-check” might be made innocuous. Instead, I propose that the concept of the reality-check be replaced by the culturally sensitive practice of acknowledging the potential of the trickster. I want to warn the reader that this is going to be a complex example that reveals the innards of the way trickster realities can come true on the streets of an inner-city community. I am going to include multiple elements to demonstrate how trickster realities become true when they don’t have to. Consider, for example, the message—a fatherly voice—that tells the message receiver that they have no worth if they don’t believe in Jesus. The divergent view, that the socially respected voice is godly and accurate, coupled with the theory that the deceased father, aligned with the church, represents the heavenly ghost, causes significant trickster hurt and pain. In fact, one day the message receiver reacts to the voice by staying in bed all day and not taking care of her or himself. To make matters worse, when the message receiver in fact stays in bed all day the message receiver’s board and care operator, a friend of the family, comments among the staff about how worthless the message receiver is in contrast to the father as a result of staying in bed all day. The message receiver senses the whispering and negative energy then tests out this reality and gets facial messages from the board and care staff that reinforces the message receivers’ voice, that the voice that the message receiver has no worth if they don’t believe in Jesus. In trickster fashion the voice proved itself right throughout the message receiver’s community. But to make matters worse, the culturally encapsulated psychoanalytic therapist/helper who just last week had reality checked the message receiver and proposed that this fatherly voice was only inside the message receiver’s head, their inner anxiety. Now not only does the message receiver feel spiritually condemned, they have a helper who has provided a reality check that offers an alternative stab, that the message receiver is to blame for their worthlessness. When the message receiver returns angry the following week and tests the therapist/helper out by saying she had been in bed the whole week, the therapist winces and now offers the message receiver the same feedback as the voice and the community at the board and care; suddenly the whole deal has become not a double, but a triple whammy. If the helper then defends themselves and challenges them over inappropriate anger, we have a quadruple whammy. In addressing this complicated example, I am going to suggest that a helper who fully understands the ramifications of the trickster concept can help. Such a helper has to believe that negative realities are more likely to come true if they are believed. I seek to demonstrate ways they might better know how effectively confront someone about reality in a way that does no damage. Helpers who understand and teach the trickster concept can transition the message receiver to a rational conversation about crisis emotions. They can do so by being culturally sensitive to the message receiving experience. Doing so enables a supporter to boost message mindfulness of all message constructs. In essence, this culturally sensitive reality-check that can result might increase the level of trust between helper and the message receiver regardless of the reality of the message receivers struggles. Using the trickster concept, helpers essentially sidle up to the message receiver’s process and playing a non-domineering role. It can help the message receiver apply the next chapter’s magical positive self-fulfilling prophesy skill thereby, (through prayer or mantra) radically change potentially tragic outcomes. My belief is that in crisis it can help motivate a message receiver to magically reduce the sense of external conflict with the material social world and pave the way for the important role that social relationships play in recovery. Contrast this to the passive suggestion that the helper hopes the message is a trickster. The culturally sensitive helper, not firmly psychoanalytic, can help tilt the message receiver away from the message process and towards the potential of effectively circumventing the stabs of the board and care staff. With one quick validating swoosh, the helper can get to the heart of the matter, the fact that the voice might play the role of a trickster. “A trickster, what do you mean?” says the message receiver. “Oh yeah, that’s already happened, that happens all the time,” says the message receiver. “Maybe on this occasion that fatherly voice is really a demon disguising its voice as your father to do you harm. Maybe there are other times when your father’s voices is very supportive and maybe that is an occasion when an angel is sending you the truth! “Maybe you are picking up on the reality of stigma that might exist within your community which may even have included your father. Did you know there are local efforts to help decrease stigma that sometimes exists in some spiritual communities; maybe you want to be part of that! “Maybe that fatherly voice doesn’t always understand everything about you. Let’s say, a church lady baby-sitter molested you when you were younger and made you feel worthless and question Jesus. I don’t know if that’s true and I don’t know what relationship you want to have with Jesus or your spirituality. But let’s say something like that were true. It might really hurt that your father and the rest of the world always takes up for your abusers! Perhaps a list of such options leads the message receiver to open up and reflect on their life in some new ways. This can lead the message receiver to better define the potential of a healing explanation. This, I’d argue requires a lot of study of the theory and creative application of different styles of theory. It helps confront the message receiver without imposing reality and challenges. It also might meet this extremely smart and sophisticated pretend message receiver where they are at and make a different. Then the message receiver might feel inspired to use a positive self-fulfilling prophesy to get out of bed and spend the day walking. At the end of the day the community and the spirit understands the message receiver better and the fatherly voice apologizes and compliments the message receiver for his efforts. Great analysis. In shamanistic cultures there are two types of tricksters. One type is destructive, but the other type is tricking you into doing something good for yourself. The problem is deciphering one from the other.